As someone who had always been interested in experiencing life in the Civil Service, the Autism Exchange placement was very helpful in providing practical experience of work. I learnt about the variety of children’s services and education work being undertaken by the Department of Education. In addition to helping with the core team responsibilities and compiling a report on children’s services, I volunteered to provide daily sector and media updates to the team. I also met the then children’s minister, and discussed with him ways the department was safeguarding and supporting children across the UK. I took advantage of the opportunity for training and assessment by Civil Service coaches, who helped me to pinpoint strengths and identify areas for further improvement. The flexibility provided by the team to support me attending prior commitments – such as the inaugural Work and Health Expert Advisory Group meeting, and a ceremony in which I was awarded a British Citizen Award – was very positive. During my placement in the Civil Service I was able to experience the variety of work on offer. And I continue to support the Civil Service through sitting on the Autism Exchange Steering Group and the Work and Health Expert Advisory Group. The placement helped me to build workplace skills and I have now moved into a full-time role as a trainee solicitor. The Civil Service is an environment that I would certainly consider returning to in the future. Autistic people often have 'special interests' – subjects about which they are passionate and knowledgeable. My special interest is current affairs and policy, so when I saw Ambitious about Autism's exchange programme was running a placement in the Civil Service, I jumped at the chance! The interns were matched to departments that suited their interests. As I had been working voluntarily on a start-up micro record label after graduating, my experience of working in small businesses contributed to the choice of placement with the Department for Business, Energy and Industrial Strategy (BEIS). The placement was only for two weeks, but I learned so much in that time. I worked in the Commercial New Nuclear team, and was tasked with researching nuclear technologies for a short presentation and in-depth document to refresh the team's knowledge. I was pleased to have been given a brief that would build on my research skills. Members of my team gave me great insight into the working life of a civil servant, and helped me to imagine myself in the role. I was surprised by the breadth of roles available: from coders to communicators to commercial officers. The civil servants who worked with us were supportive of our needs, and at our final meeting we discussed some of the barriers to employment for people with autism: namely, the interview process and reasonable adjustments. I‘m now ambitious to secure a role within the Civil Service. I have been applying for roles and building my skills in web coding and research in anticipation of vacancies. Last summer, I held an internship with the Tax Gap Team at HMRC. This placement enabled me to apply the knowledge I gained during my degree in the workplace and develop essential skills such as teamwork, programming, presentation and communication. I was given the opportunity to work on three separate projects. These included creating a random stratified sample from a large set of data using the statistical software SAS, which I learnt to use during this internship; working on creating insight reports for Self-Assessment Business and Non-Business and Corporation Tax, analysing data on non-compliance rates and tax at risk; and working within a team of three analysts towards a publication on Tax Gap Estimates for 2015-16. I did not know what to expect from the Civil Service, but during the placement, I learnt that civil servants work within a code of conduct and are very objective and play an integral role in the workplace. The team became more aware of the constraints that people with autism encounter in their daily lives and I felt welcomed by the team. They also learnt that despite my disability, I was able to fulfil my duties in a very effective and influential way. As a result of this placement, I successfully applied for a position as a statistician within the Government Statistical Service. I hope I will be able to gain a position within the Fast Stream in future so that I can progress further and develop my leadership skills. "at our final meeting we discussed some of the barriers to employment for people with autism: namely, the interview process and reasonable adjustments." As a current Civil Servant with autism I have found the interview process very frustrating. I have been told by multiple managers that I am capable of working above my current level (EO) however I cannot seem to express myself well enough at interview to succeed against neurotypical competitors. Have there been any steps made to getting useful reasonable adjustments made to the interview process for autistic candidates? I will be making a suggestion to my internal HR department because as an autistic individual I experience the same problem. 1) All staff are notified 48 hours in advance exactly what will be asked and given ample time to prepare. 2) All staff have the option of the standard interview process OR a freeform presentation. We get that 45min-1 hour slot to demonstrate how we hit the competency markers in whatever way we like. For example, I've just co-organized an autism event. I can bring in all my emails, a printout of my calendar and any additional evidence of the actions I took. I can then talk through the process of planning and organizing the event, explain why I did one action instead of another, why I sent that email to that person instead of someone else, etc. I can link that into managing a quality service, collaborating and partnering, delivering at pace and numerous other EO and HEO grade competencies. As it stands they want to see us at our best but put us through a process that shows us at our worst. Thank you Julie, that is the same experience I have trying to progress in the Civil Service and in countless interviews from before I joined the Home Office. I find that days later I realise I misunderstood what was being asked in a question or I get completely lost describing a competency trying not to go into too much detail, while also trying to cover the points required. Julie, Likewise. I have done some twenty or so interviews for Grade 7 in the last three years and have not gotten through any of them. I am capable of doing the job at this grade and have done so on two TPs. I feel frustrated and demotivated. The Civil Service's focus on diversity and inclusion suggests that it might be useful to have a version of the Competency Framework that might better assist staff in considering performance management and autism than the standard version might sometimes do. Is there one and, if so, where can we find it, or, if not, are there any plans for the Civil Service to produce one? Rather than having a separate competency framework, the existing competency framework should be suitable for all. I wasn't diagnosed as autistic until my early to mid-30's, I know people who weren't considered autistic as they were diagnosed as dyslexic and are now being reassessed. Early gender prejudice (the defunct Excessive Male Brain theory) meant that women have been under diagnosed for generations. An autistic person is autistic whether they've been diagnosed or not. The diagnosis is just a non-autistic person rubber stamping and putting a name to that feeling you've always been different. Having a competency framework you can only access if you've been rubber stamped doesn't help those who've live with the barriers without the label. Thank you, Matthew; that would be a much better option. I fully agree with your last paragraph, though I wasn't thinking that those with a formal diagnosis would have to use an alternative version of the framework if they were comfortable with the current version or that those without a formal diagnosis couldn't use an alternative version. I was thinking more that an alternative version might useful and appropriate for some people in some circumstances if that helped. I'm probably really talking about workplace adjustment but have just gone about it in a bit of a clumsy way. I'm so pleased to hear that these young people had positive experiences! 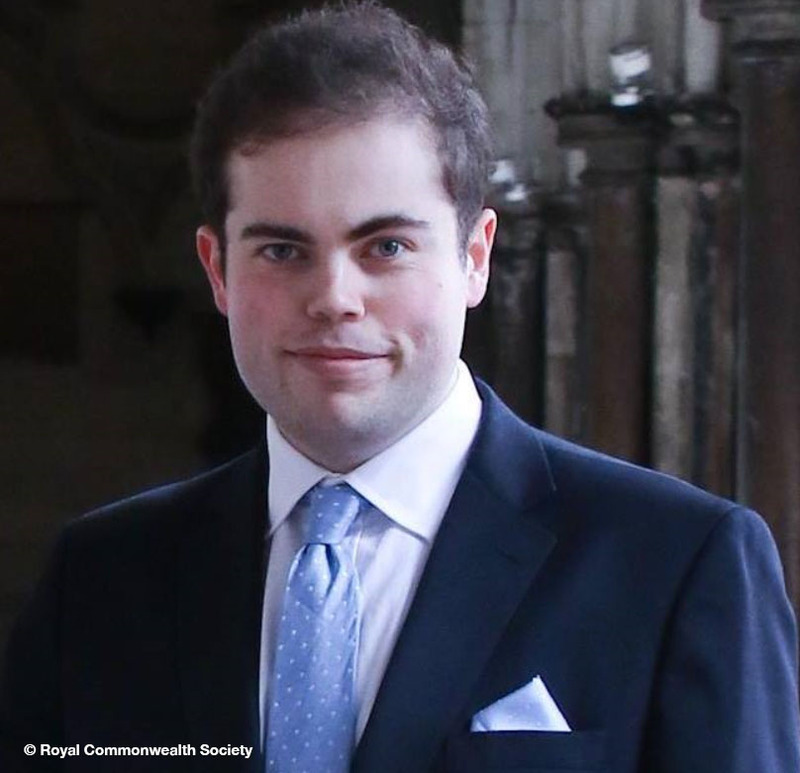 I hope they'll succeed in developing their careers in the civil service as they wish, and that other people with autism will feel encouraged to apply based on this blog. More generally we need people with a whole range of perspectives/opinions to help us make effective decisions and see problems in different ways - autism in influencing people's perspectives is just one part of that. having a child with autism I always thought that the Civil service would suit him as a career, I am interested in how to get him on these placements as he is finishing school this year. Its great to see that the Civil Service are getting to be more inclusive but I do agree with Julie above, as the interview process will be tough for anyone on the autistic spectrum to deal with, especially a young person with no experience. There should be autistic aware people on the interview panel. I find the lack of effective processes in my branch of the Civil Service deeply frustrating. We have many processes that we don't really follow (especially when the deadlines get moved). We often over-engineer simple processes under the guise of providing accountability. Even when the organisation identifies that it has gotten out of hand, a local procedure will often crop up to reinstate a pointless process. I worked for 20 years in technical teams (generally not moving for 10 years) where I was confident and productive. Due to a shift in focus from provider to decider I moved to a procurement PM role (for a technical project). It took less than a year of endless changes of authorisation process, endless forms that needed filling in but were then just filed and never consulted and pointless Ping-Pong between signatories to shatter my confidence and reduce my morale to the point where I was actively planning to leave the civil service. Fortunately my wife spotted the signs of increasing stress (something that I only recognised after the fact) and encouraged me to leave and take a job in another team and I have now recovered my sanity. Change isn't always good. For some of us, change is hugely stressful (psychologically scarring even). We must have the courage to resist change for changes sake and not be judged as anti-progressive for that resistance. I hope that our recognition of the need for reasonable changes to support diversity extends to the little things as well as the banner grabbing initiatives. It is good to know about Ambitious About Autism. I have a Grandson with Autism age 6 in special school and making progress. Although his 4 year old Brother struggles. This has effected the whole family and me personally. Work has become increasingly difficult for me in the past few years. Therefore I have taken the decision to Retire a few months earlier than my 60th Birthday. My hope is that the Civil Service shall develop training roles for Autism in the future. It's great the steps you're taking to push forward those with ASD. As someone with ASD and ADHD I hope some work is done for those under the latter too. I have two autistic children and it is encouraging to see programmes such as this being brought in. I know that when it is time for my children to apply for jobs, they will require reasonable adjustments. For example, one of them is approx. three years ahead of his age group academically and requires very little teaching compared to his peers to undertand concepts and new information; however he has had a severe speech delay. He does now speak well, but still takes a long time to put into words what is in his head and remains completely silent after questions for sometimes several minutes before putting together a spoken response. He will either need a very patient interview panel to give him 3 or 4 minutes (or more) to gather his words after each question, or he will need the questions in advance. He probably isn't going to be doing a role that has a heavy reliance on speech but he will really excel at many other things, if he could get through an interview. This is a brilliant example of how the Department could be considering using the skills and individual qualities to a diverse civil service. 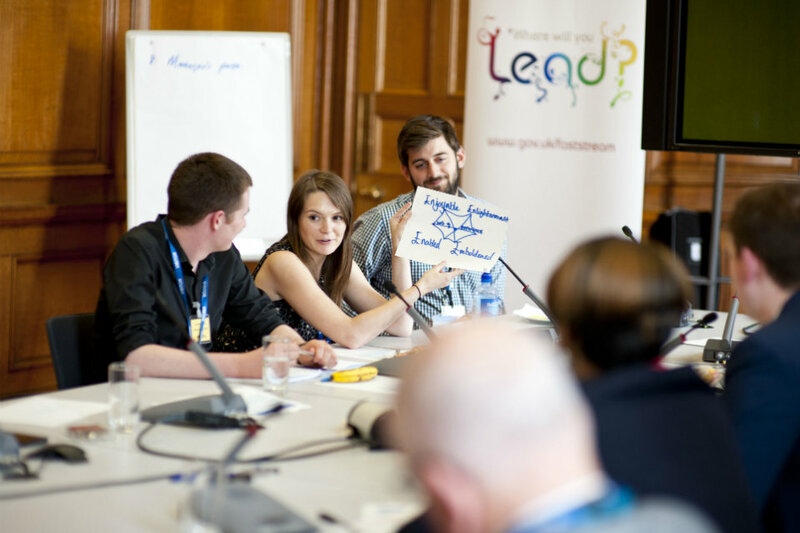 By showing a different way of presenting how a person can demonstrate the competencies for a job this could help others considering a career in the civil service. We should do away with interviews where we have a person's appraisal history. They act as a barrier not only for those on the spectrum but for many NT's also who will actually perform better in the job than the top candidate at interview. I really support this initiative-those on the spectrum have a great deal to offer-as much as NT's and are a great addition to any team due to their different way of thinking. Time gaps between a question being asked and the response being given is down to Executive Function which is often impaired in autistic individuals such as myself, though it also fluctuates throughout the general population. (Executive Functioning is your brain's ability to handle "novel" situations). A lot of us find having reference material nearby extremely helpful when it comes to working around our executive functioning. I always have my phone handy as it has my calendar, text messages, emails, etc. which I can then refer to when requests for meetings and tasks are given to me. Of course verbal isn't the only form of communication. Text and email is fine, some find sign language helps them as it allows to act out the words as they say it. I am inspired by the Civil Service for giving work experience to people with autism. As someone with a young son who his on the spectrum, it gives me great hope that one day companies will realise the potential of individuals who have so much to offer and give them the jobs that they so need.